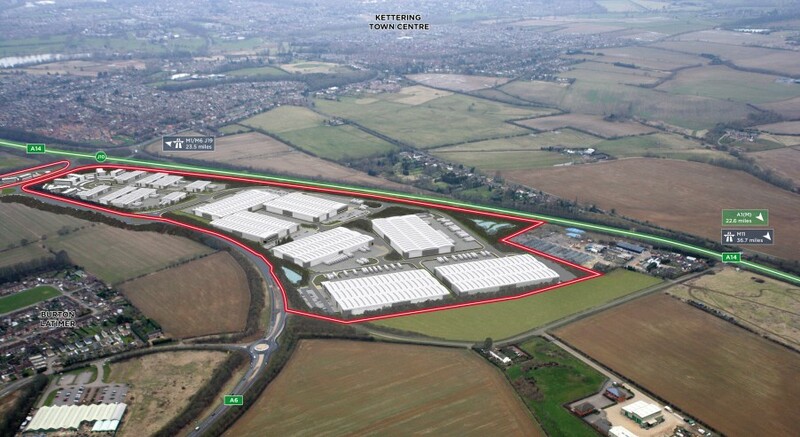 This 90 acre site at Junction 10, A14 is master planned as a high quality mixed use B1, B2 and B8 scheme. The site will cater for units of upto 275,000 sq ft to include roadside and leisure uses, offices, light industrial, manufacturing and warehousing. Infrastructure works commence Summer 2016 with buildings being available from Summer 2017. 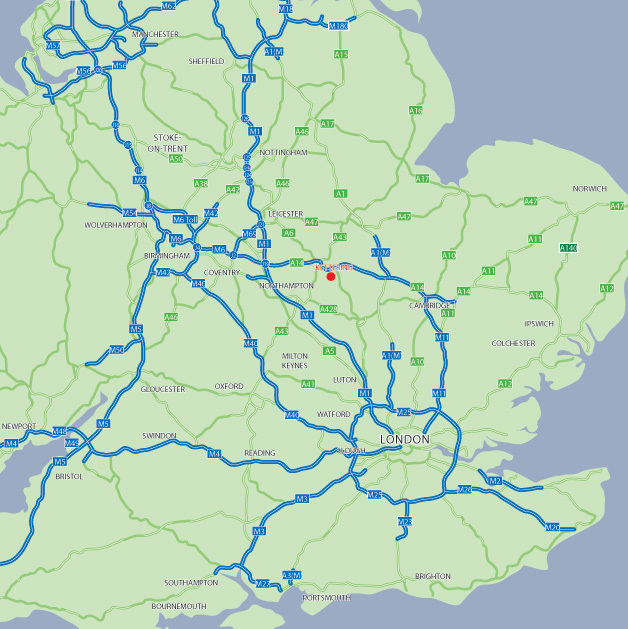 The site is located in an established position at Junction 10 of the A14 at Kettering. It is adjacent to Latimer Business Park where occupiers include Morrisons, Weetabix and Alpro. 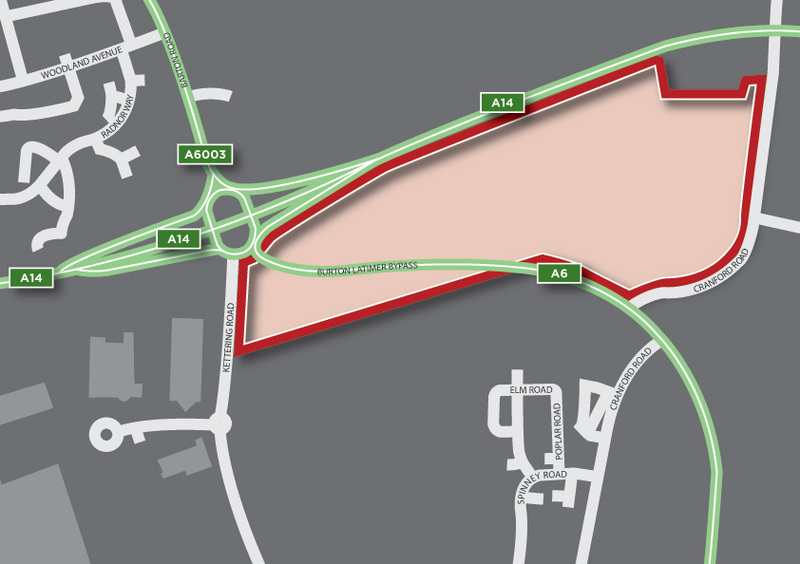 To the North of the site is the planned ‘Kettering East’ urban extension which has outline consent for 5,500 new homes.